Our technicians specialize in repairing/servicing/replacing plumbing fixtures and pipes, remodeling, detecting/repairing slab leaks, re-piping homes, and installing water heaters. We provide 24-hour emergency service, even on holidays. If the office is closed, the answering service will contact us and a technician will call you back. 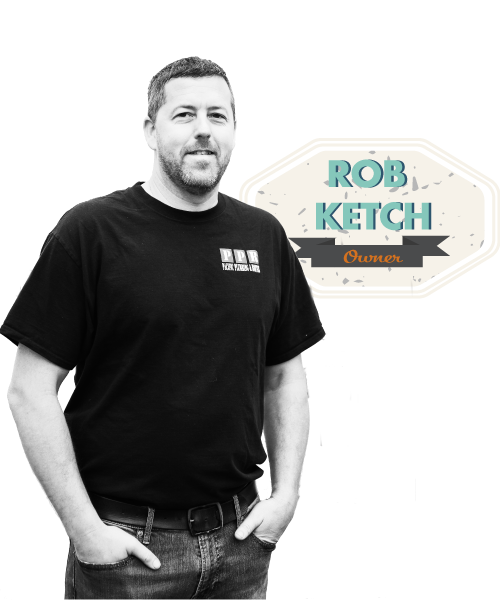 Rob Ketch is one of the two very talented owners of PPR. Getting into the industry when he was 21 years old, he knew right away that he had found a career that would be one where he would excel. As a native Eugene boy, he went to North Eugene Highschool where he met his lovely wife Mandi and best friend and business partner Josh. Rob is very passionate about his company and the wellbeing of his employees, placing a high priority on proper training of the team. Having spent his entire life in the Eugene area, his dedication to providing the highest level of service to the community is second to none. As a true outdoorsman, when Rob is not working and has the time to break away, he enjoys camping, anything outdoors and watching his sons grow up. Josh Edwards is the second of the two owners here at PPR. Having over 17 years in the industry, Josh got into the plumbing trade shortly after his best friend Rob, and now business partner, entered into his career. In addition to being a true leader, Josh is a first rate Licensed Plumber and will stop at nothing in the pursuit of perfection. It is these traits that make him so talented as a coach, spending most of his time away from work over the past 8 years doing just that. Josh’s dedication to the plumbing industry don’t just exist within the PPR team though. As a proud member to the Area 3 Apprentice Committee, he strives to improve the industry for years to come. Having been born and raised in Eugene, Josh has significant ties to the community and has a reputation of dedication in the community. 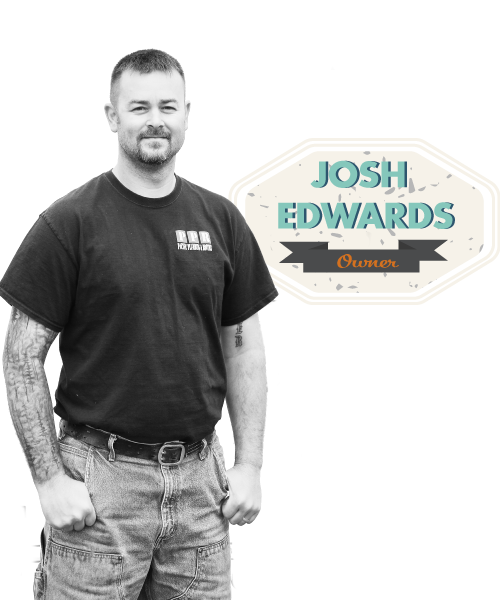 No matter what the specific nature of your plumbing problem is, you can trust that Josh will be there to see that the job gets done right. 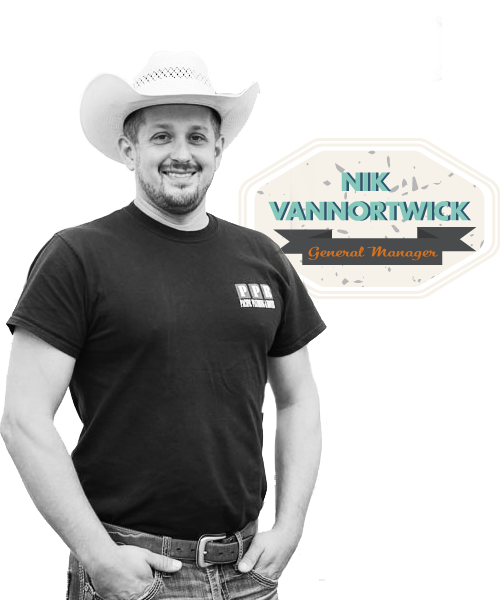 Our General Manager, Nik VanNortwick, has been in the plumbing industry from a very young age. Starting his career when he was 14 years young, he became the youngest person to have successfully passed the Journeyman Plumber exam in Texas when he was barely 19 years old. And then again when he was 21, he became the youngest person to have ever passed the Master Plumbers exam in Texas. After owning a successful plumbing company in his home town of New Braunfels Texas for over 12 years, he made the decision to move his family to Eugene Oregon in August of 2011 after successfully passing the Journeyman Plumber exam in Oregon. Having dedicated over 24 years of his life to the plumbing industry, he brings a wealth of knowledge to our company. When he is not at work, he enjoys hiking, camping, and backpacking with his three daughters. As a dedicated family man, he has strong roots in the Eugene area and stops at nothing to provide our customers and community with the highest level of service and professionalism. No mater how complicated your particular project may be, rest assured that Nik can come up with an innovative solution for you. We take pride in doing professional work at reasonable rates. Located in Eugene and servicing Lane County and beyond. We do work for homeowners, property managers, renters, small and large companies and home warranty insurance companies – all residential and commercial service plumbing work. Our employees are respectful, professional, trustworthy, and love what they do. 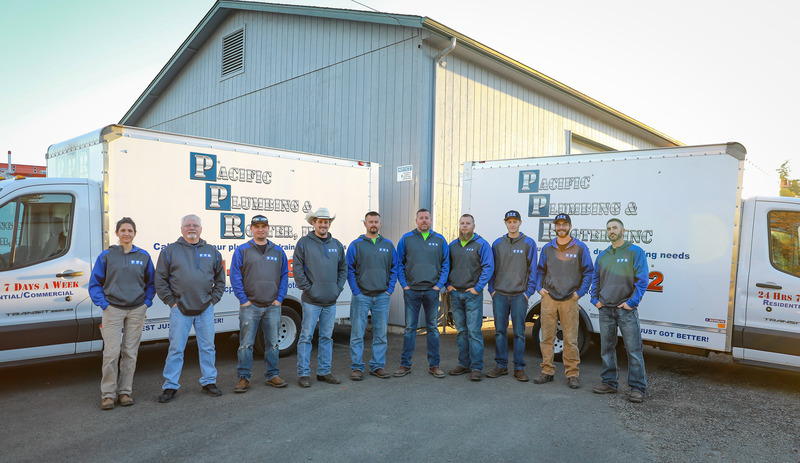 If you are looking for attractive compensation, superior training, and enjoy camaraderie and high standards in the workplace than Pacific Plumbing & Rooter is for you. Do you have an Oregon Journeyman Plumbing License?